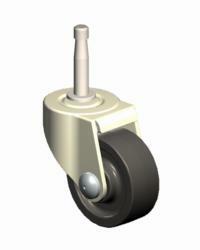 Our configured light duty swivel casters are designed for shock absorption to cushion the load and produce a reliable, consistent roll. 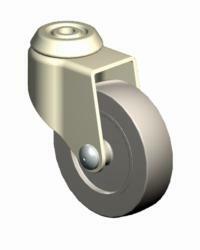 Pressed steel double ball bearings ensure long service life. 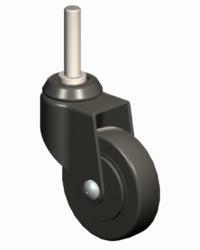 The light duty swivel caster is designed to withstand continuous service and is ideal for restaurant, school, or hospital carts. 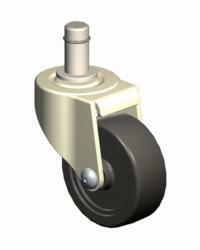 Click here if you require a light duty caster. 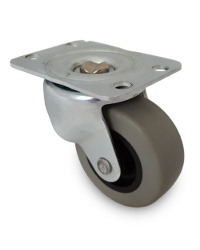 These light duty casters are strong, durable, and economical and can be used in a wide variety of industries and applications where swivel and light duty top plate rigid casters work together. 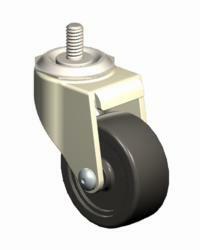 They are recommended for light assembly dollies, hand trucks, wire racks, and shopping carts which usually use stem threaded light duty swivel casters. 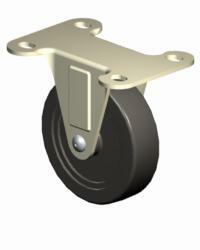 Casters are also used for rolling display racks, chests, and cabinets that use stem-grip neck (wood) light duty casters. 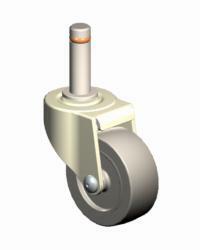 Many of our light duty casters have 3D Models available for download in most formats, including IGES, STEP, PRO/E, and SolidWorks.